London, England - Independent developer Pixamo is today proud to announce the release and immediate availability of Block Party 1.0, their dazzling musical puzzler for iPhone iPad, and iPod touch devices. Block Party is an easy to learn, yet tricky to master, puzzle challenge. 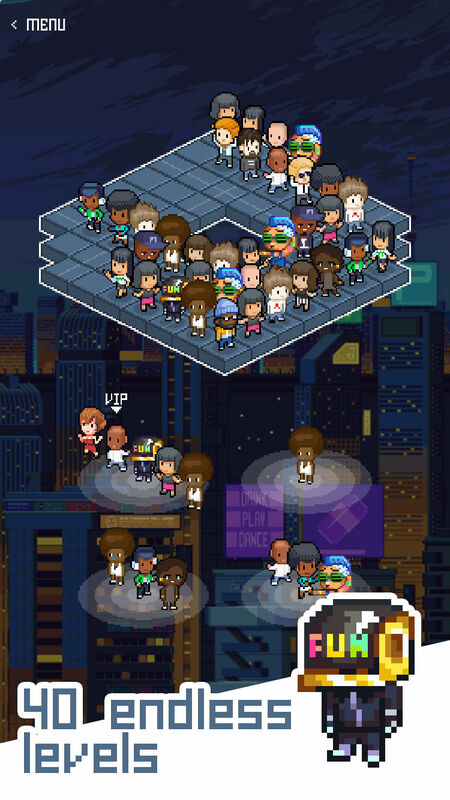 Players start with an empty dance floor and must strategically place partygoers to complete lines to clear space on the floor for more dancers. Players work to build a reputation as the best pixel party master New York City has ever seen. 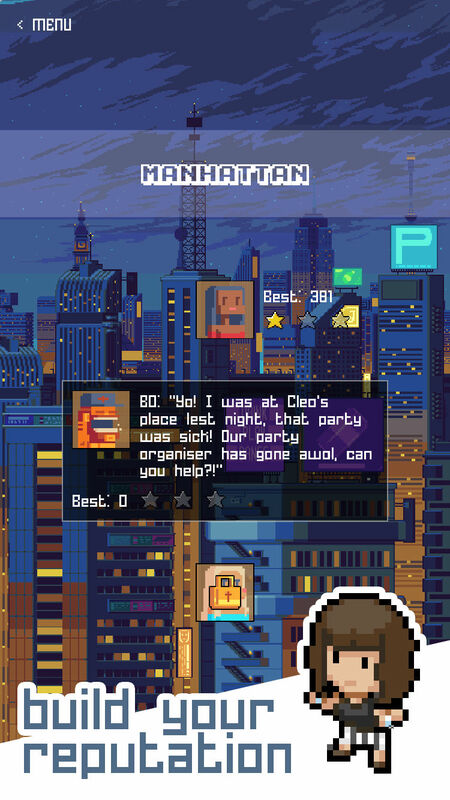 Throw parties on forty pixel-packed levels, ranging from Manhattan to The Bronx. As the dance floor begins to fill, players must place each group of revelers to fit them onto the floor, clearing space as they create lines. As each level is completed, the parties get crazier and the dance groups get tougher to clear from the floor. However, run out of room on the dance floor and it's game over. "Block Party is a stylish and unique take on the traditional 'fill the lines' puzzles that are so popular with players of all ages," says Pixamo CEO Morgan Davies. "The game features amazing pixel-based graphics and fantastic music. The graphics were created by artists, Cocefi and Kirokaze, and the music was composed by Kick Lee and Katrina Stone, amongst others." Party goers come to request help throwing parties for their friend and celebrities, with each party taking place on a different dance floor. When VIP celebrities show up, and players squeeze them onto the dance floor, they get to actually tweet in real life about the celeb's appearance at the block party. Real celebrities and their Twitter handles are included in the game, with such Twitter favorites as Chance the Rapper, will.i.am, Bella Thorne, and many others hitting the dance floor. Players can even tweet a request to be a VIP, possibly getting to make a future appearance in the game. BlockParty also offers a unique Pixamo Rewards system, where completing tasks in Block Party will earn rewards for use in other Pixamo games, including "Pizza Dog" and "Let Them Eat Slime!" This allows players to level up their total Pixamo Ranking. "Block Party puts a fun spin on the traditional puzzle games players know so well, by adding a fun musical dancing twist to the action," continues Morgan. "Plus, the game's unique point of view adds to the challenge, keeping your interest as your party throwing reputation continues to grow!" 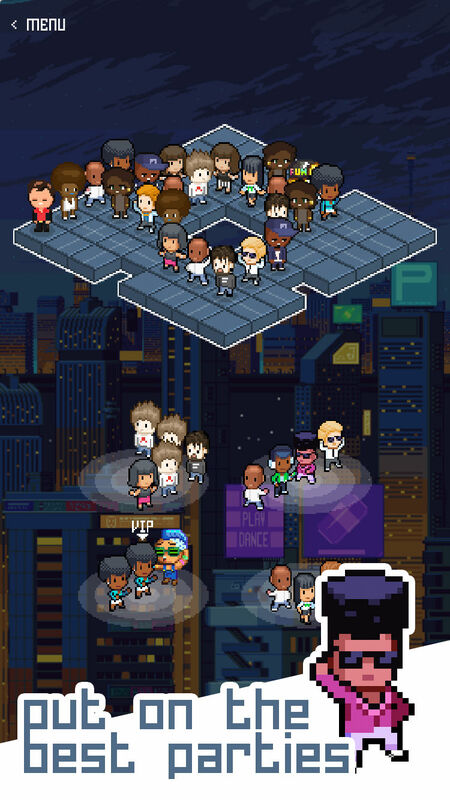 Pixamo invites iOS device owners to hit the dance floor and party with the VIPs at the best pixel parties ever thrown. Just make sure to squeeze everyone onto the dance floor, or it's party over. Block Party 1.0 is free and is available worldwide exclusively through the App Store in the Games category. Pixamo is a new mobile game studio based in London, founded by Morgan Davies. October 2018 marks the release of Pixamo's first games. Targeting iOS, they are Block Party, Pizza Dog and Let Them Eat Slime! Pixamo's founder Morgan Davies is a seasoned Game Developer. He has previously released top 10 iOS games including Killer Pool, Nano Rally and Snow Fight, and others. All Material and Software (C) Copyright 2018 Pixamo. All Rights Reserved. Apple, the Apple logo, iPhone, iPod and iPad are registered trademarks of Apple Inc. in the U.S. and/or other countries. Other trademarks and registered trademarks may be the property of their respective owners.